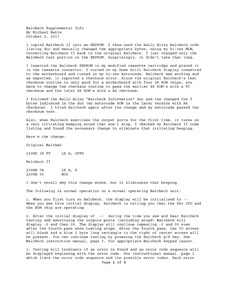 This document is a tutorial that explains how to use the BalCheck hardware and its software to diagnose a failing Bally Arcade/Astrocade console. Michael Matte wrote this documentation. 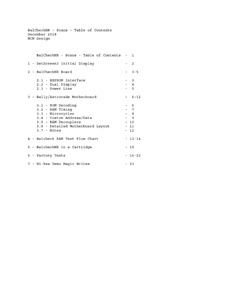 For ease of use with future updates to this manual, all documents are separate text files. Altogether, this manual is 85 pages long. It is made up of 17 different documents. They look best when printed with left and right columns of .8 or less using the 10 pt Courier New font. 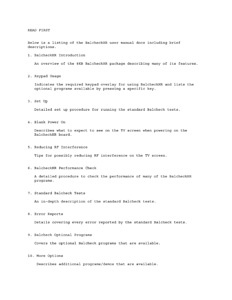 Make sure to download the handwritten scans for this manual too, as together they are the complete BalCheckHR manual.